The new Samsung CDMA mobile handset that has been launched in India is Samsung mPower Txt M369. It has primarily three highlighted features which makes it stand out of the crowd. These pre-loaded technologies on Samsung mPower Txt M369 are EVDO, Live TV, and OMH. While EVDO technology allows 3G connectivity on handset through resorting to WiFi on Samsung mPower Txt M369 the Live TV feature provides access to 50 TV channels on it. The pre-installed OMH feature bestows upon users the flexibility to change their carrier service. 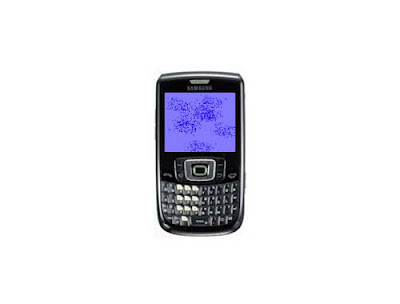 Samsung mPower Txt M369 has a 2.2-inch QVGA dislay with 320×240 pixels of screen resolution. Also are incorporated in it a 2-megapixel camera, FM Radio with recording, 3.5mm audio jack and various other features. The 104MB memory of Samsung mPower Txt M369 can be expanded to an upper limit of 16GB. This full QWERTY mobile phone also supports Java and has mobile tracker and Document Viewer. Highlight specs of Samsung mPower Txt M369 CDMA mobile: * 2.2-inch QVGA dislay with 320×240 pixels of screen resolution with QWERTY Keypad * FM Radio with recording with 3,5mm audio jack * 2-megapixel camera * 104MB internal memory and external memory support of up to 16GB * Support EVDO, Live TV and OMH Technologies All the social networking sites and apps are integrated in Samsung mPower TXT M369 which offers advanced connectivity features such as Bluetooth, USB, & Wi-Fi. This CDMA mobile phone comes with a standard battery of Li-Ion rated at 1000mAh and delivers talktime up to 4 hours 30 minutes. It physically measures 112x 60.95 X 11.96mm and serves as a 3G wireless modem so as to give high speed connectivity over internet. The Samsung mPower TXT M369 CDMA Mobile Phone price in India is Rs. 6500. I think now this is the time of Samsung company which is flourishing all over the Asia with great products. This mobile has also got the marvelous features at uneatable price which is really amazing. I have been using this handset since its launch. It is absolutely user friendly. The battery life is amazingly good. Screen clarity is awesome and the application are really fun. It is a CDMA business phone with speed and power of QWERTY. Kudos to the makers.. !! Clarity of this phone is awesome and the features are really good and easy to use....thanks to samsung..
this phone is wi-fi supported ?? Does it support 3-way(conference) calling?